We look at today and we look forward. From the distance, from above and right into it. Indelible memories, present thoughts and plans to shape the future become an abstract chart of life. Two lives, two perspectives, two sets of postcards. 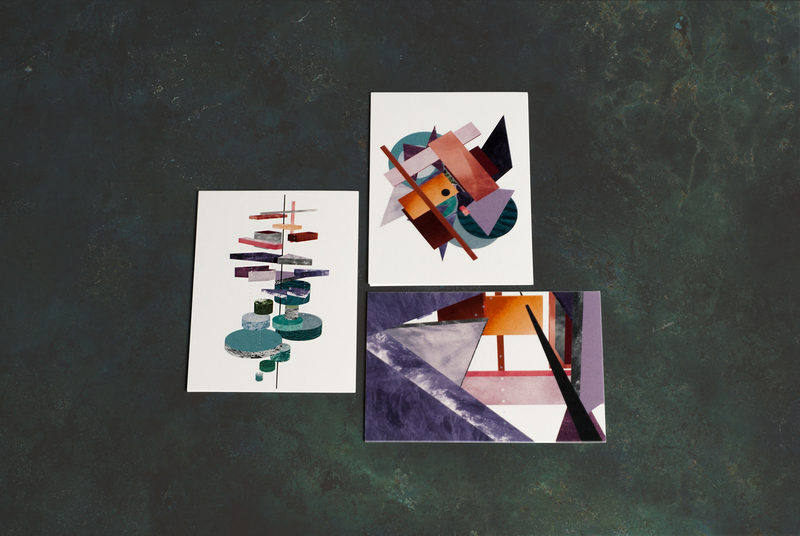 Three postcards per postcard set. Color printed and manually refined by screen printing with color. Carefully packaged and dispatched with care. 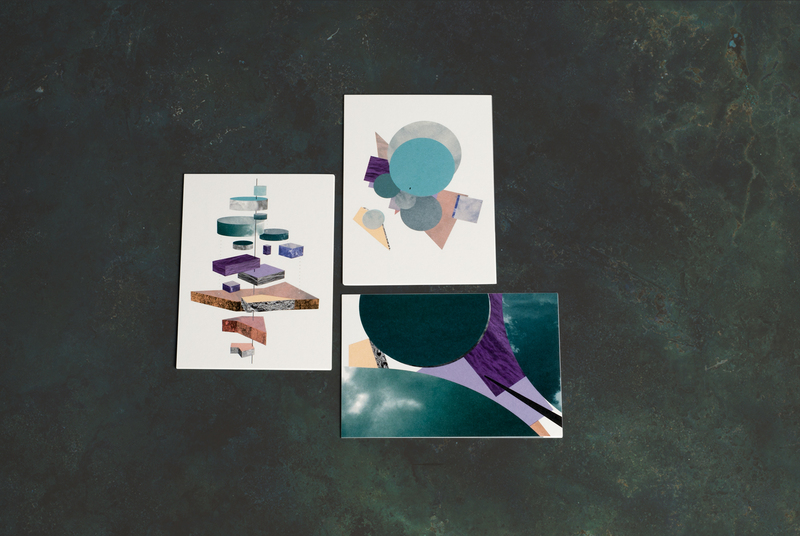 We have a small quantity of postcard sets available for purchase. If you’re interested please get in touch with us.